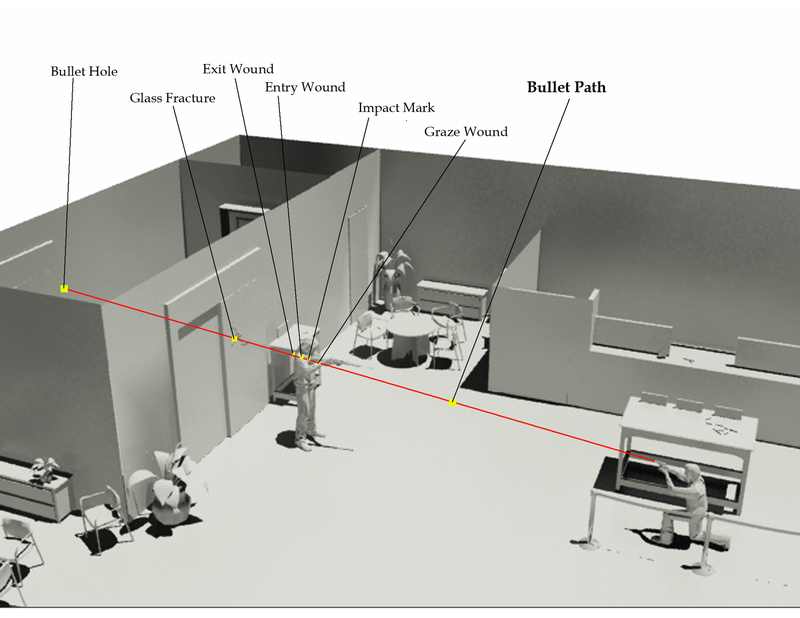 I completed my Autodesk 3Ds Max Modeling class with a fabricated crime scene reconstruction. This is a bank robbery where the suspect claims he was putting down his rifle and was shot by the deputy for no apparent reason. 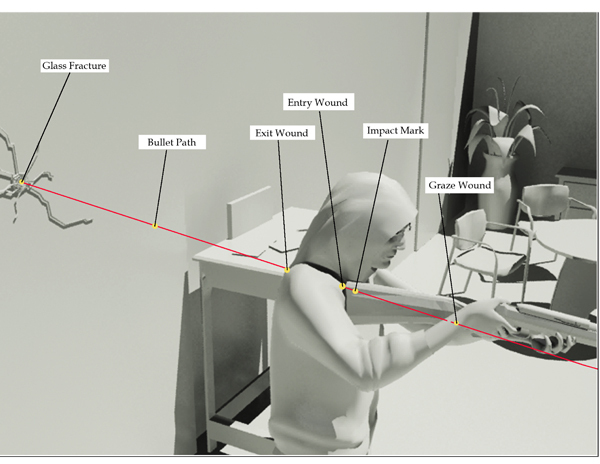 This 3D illustrated re-enactment proves that he had the weapon directed in a threatening manner. Keep in mind that if this was a real reconstruction that would be seen by a jury, the suspect would have no face and wouldn’t be in such a menacing position. Same goes for the deputy. Very engaging. More to come later. Next Post3D Animated Sneeze….. Bless you.